Seductive and mysterious Dominique Sanda (1951) is a French actress and former fashion model. During the 1970s she appeared in such noted Italian films as Bernardo Bertolucci's Il conformista/The Conformist (1970) and Novecento/1900 (1976), Vittorio de Sica's Il Giardino dei Finzi-Contini/The Garden of the Finzi-Continis (1970), and Liliana Cavani's Al di la del bene e del male/Beyond Good and Evil (1977). Romanian postcard by Casa Filmului Acin, no. 429. Publicity still for Une femme douce/A Gentle Creature (Robert Bresson, 1969). French postcard by Ciné-Temaris. Photo: M. Jamet. Publicity still for Un chambre en ville/A Room in Town (Jacques Demy, 1982) with Richard Berry. Dominique Sanda was born as Dominique Marie-Françoise Renée Varaigne in Paris in 1951 (according to some sources in 1948 or 1949) within a middle-class Catholic family. Her parents were Lucienne (née Pichon) and Gérard Varaigne. She went to school at the École des Sœurs de Saint-Vincent-de Paul in Paris. In the summer of 1966 she was chosen Miss Arcachon at the Casino Mauresque in this sea resort in the South of France. When she was 16, she left her upper-class family and married, but divorced two years later. After a short time as a Decorative Arts student, she worked as a model for Dorian Leight, whose photos appeared in Glamour, Elle and Vogue. She started her film career in 1969 when director Robert Bresson offered her the lead part of a tormented young woman, too beautiful and too gentle to bear everyday banality, in Une femme douce/A Gentle Creature (Robert Bresson, 1969), based on a novel by Fjodor Dostojevsky. The film launched her international career. Only 18, she appeared as Anna Quadri, the sensual wife of an anti-fascist professor in Il conformista/The Conformist (Bernardo Bertolucci, 1970) featuring Jean-Louis Trintignant. That same year she also starred as the provocative daughter of a rich Jewish family in Il giardino dei Finzi-Contini/The Garden of the Finzi-Continis (Vittorio De Sica, 1970) which won the Oscar for Best Foreign Language Film. Because of her cool beauty, she was nicknamed ‘The French Garbo’. In Hollywood she appeared in the spy thriller The Mackintosh Man (John Huston, 1973) with Paul Newman, and in the Herman Hesse adaptation Steppenwolf (Fred Haines, 1974) with Max von Sydow. She soon returned to Europe and worked in Italy with such major directors as Luchino Visconti on Gruppo di famiglia in un interno/Conversation Piece (1974) and with Bernardo Bertolucci on Novecento/1900 (1976) as Ada, the great love of Robert de Niro’s character. That year she won the award for Best Actress at the Cannes Film Festival, but strangely not for the epic Novecento but for her part as Irene Carelli, an Italian patriarch's daughter-in-law, in the much lesser known L'eredita Ferramonti/The Inheritance (Mauro Bolognini, 1976). She made another splash with her portrayal of Lou Andreas-Salome in Al di la del bene e del male/Beyond Good and Evil (Liliane Cavani, 1977). Hollywood lured again and she appeared in the 20th Century Fox production Damnation Alley (Jack Smight, 1977) and the disastrous Casablanca imitation Caboblanco (Jack Lee Thompson, 1980) with Charles Bronson. 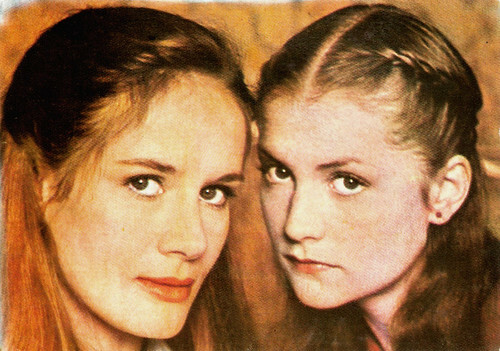 With Isabelle Huppert in Les ailes de la colombe/The Wings of the Dove (Benoît Jacquot, 1981). Romanian postcard by Casa Filmului Acin. During the next decade, Dominique Sanda mainly appeared in French films. Some were shown internationally, such as Le voyage en douce/Sentimental Journey (Michel Deville, 1980), the musical Une chambre en ville/A Room in Town (Jacques Démy, 1982), and the Jorge Luis Borges adaptation Guerriers et captives/Warriors and Prisoners (Edgardo Cozarinski, 1989) with Leslie Caron. 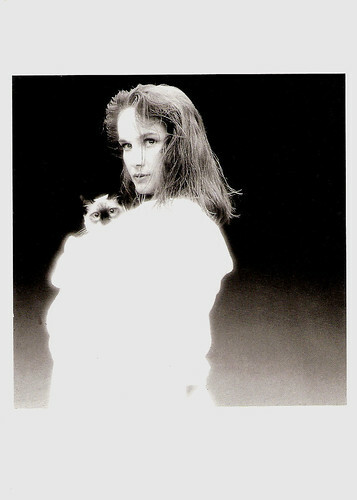 Jacques Demy had already directed Sanda in her first role for television as Hélène in La naissance du jour/Daybreak (Jacques Démy, 1981), adapted from Colette's novel. She continued to appear in small, but interesting European productions. Examples are In una notte di chiaro di luna/Up to Date (Lina Wertmuller, 1990) with Nastassia Kinski, Yo, la peor de todas/I, the Worst of All (Maria Luisa Bemberg, 1990) and the thriller Les rivieres pourpres/The Crimson Rivers (Mathieu Kassovitz, 2000) starring Jean Reno and Vincent Cassel. Meanwhile she regularly appeared on TV, such as in the series Warburg, un homme d'influence/Warburg: a man of influence (Moshe Mizrahi, 1990) with Jean-Pierre Cassel, and the American mini-series The Bible: Joseph and Joseph in Egypt (Roger Young, 1994) starring Ben Kingsley. 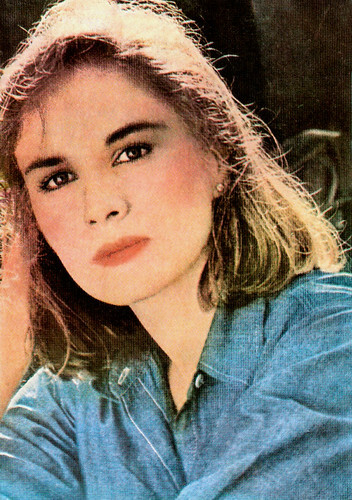 From 1993 on, she also worked in the theatre: she then appeared at the Théâtre de la Commune, in Aubervilliers, France, as Melitta in Madame Klein (Mrs. Klein by Nicolas Wright), directed by Brigitte Jaques-Wajeman. Two years later, she played in Italy the marquise de Merteuil in Le relazioni pericolose (Dangerous Liaisons), based on Choderlos de Laclos' novel and directed by Mario Monicelli. In 1995-1996, she played more than 500 times Lady Chiltern in Un mari ideal, a French production of An Ideal Husband by Oscar Wilde, directed by Adrian Brine. And in 2002-2003 she made another long theatre tour through Northern Italy in Amleto (Hamlet) by William Shakespeare, in which she interpreted Queen Gertrude under the direction of Federico Tiezzi. 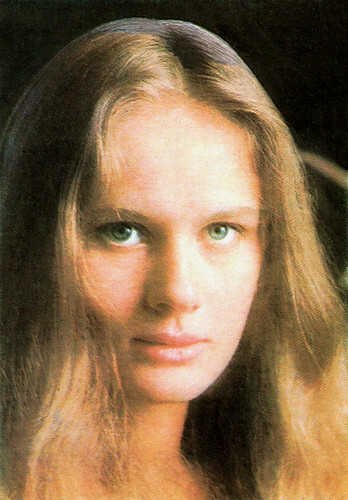 In the 1970s, Dominique Sanda lived with actor/director Christian Marquand, with whom she had a son, Yann Marquand (1972). In 2000, she married Nicolae Cutzarida, a philosopher and University professor of Romanian origin. Dominique Sanda was made Chevalier de l'ordre national du Mérite (Dame of the National Order of Merit) in 1990, Officier des Arts et des Lettres (Officer of the Order of Arts and Letters) in 1996, and Chevalier de la Légion d'honneur (Dame of the Legion of honour) in 2003. French postcard by Editions Marion-Valentine, Paris, no. N-179. Photo: Dominique Issermann. Caption: Dominique Sanda et le chat Horus. Trailer Il Giardino dei Finzi-Contini/The Garden of the Finzi-Continis (1970). Source: FabioTestiOfficial (YouTube). Trailer Il conformista/The Conformist (1970). Source: pckg21c (YouTube). Sources: Thanassis Agathos (IMDb), Dominique Sanda.com, Film Reference, Wikipedia and IMDb.